During the initial appointment, physiotherapist will assess the health issue through a combination of a detailed history and physical testing. The aim is to determine the root cause of the complaint. An education on the condition is given so that the client would have knowledge to avoid future issues. Following full explanation, a client-focused and goal-oriented treatment plan will be developed. Following appointments are recommended to monitor the treatment effects and adjust management methods if needed. Regular supervision helps to ensure that more effective outcomes can be achieved. How many physiotherapy sessions are needed? The amount of the appointments depends on your health issue and personal goals. After the initial assessment, recommendations on the amount and frequency of the treatments could be given. Kinesio taping is a rehabilitative taping technique that helps to facilitate body´s natural healing process. Kinesio taping provides stability and support to muscles and joints without restricting body´s natural movement. It is widely used in injury prevention and rehabilitation. 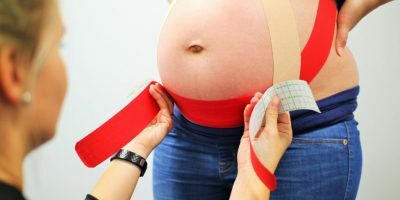 Kinesio taping is a good option for expectant mothers seeking relief from the complaints associated with pregnancy. Kinesio taping can help relieve many pregnancy symptoms including back pain, sciatica, swollen feet and other aches and pains. It is recommended to combine taping with therapeutical exercises to achieve better and long-lasting effects. Sports massage is geared toward athletes or anyone participating in regular physical activity. It helps to enhance pre-event preparation, reduce recovery time and prevent injuries. Sports massage techniques are specific and focus on areas of the body that are overused and stressed from repetitive movements. NB! Sports massage bookings only by phone or email.